WFAA 8 Daybreak mainstay Ron Corning has decided to leave the station. Macy Jenkins joins FOX 4 KDFW as a Fort Worth Bureau reporter. 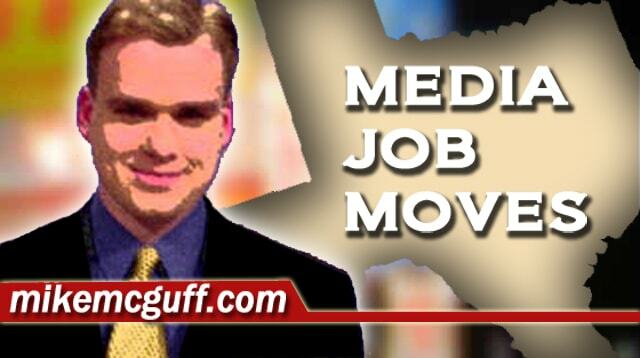 FOX 4 KDFW sports reporter/anchor Edward Egros will be leaving the station. Reporter MaryAnn Martinez and CBS11 KTVT are parting ways. Lexie Houghtaling is leaving NBC 5 KXAS. WRAL reporter Candace Sweat is leaving Raleigh to take a job at NBC5 KXAS. CW33 Partners With 97.9 The Beat for New Morning TV Show. Josh Innes tells his side of departure from SportsTalk 790. It’s Time for Swamplot To Say Goodbye. iHeartMedia names Marc Sherman Regional SVP/Programming for New Orleans and Baton Rouge. Charese Fruge Exits As PD At Radio One KROI/Houston & WNOW/Indianapolis. Houston Chronicle deputy opinion editor Evan Mintz is leaving for a job in public relations. The Hall of Fame with Booker T & Brad Gilmore premieres on ESPN 97.5. Chris Huff gets Program Director gig for 100.3 The Bull KILT. CBS 2 WBBM Chicago drops former KPRC anchor Rob Johnson. Former KPRC 2 anchor PAULINE CHIOU has been filling in regularly as anchor for CNN International in New York. Pauline returned to the U.S. last year after 9 years in Asia, where she anchored first for CNNI in Hong Kong, and more recently for CNBC in Singapore. KSAT adds a streaming 9 PM newscast on its website and OTT platforms. Mike Barnes era ends at KVUE. Texas Oil Investigation Earns KXAN Cronkite Award. KVIA El Paso anchor is moving from mornings to the 4pm newscast where she will also serve as newsroom operations manager. KTAB anchor Brittany Pelletz leaving station, heading to Florida. Danny Wright joins KXSS Amarillo as program director. KIII Corpus Christi anchor Makenzi Henderson posts on Facebook she has been in the hospital. Ginny Pace, 1960s Houston TV personality, dies at 88.